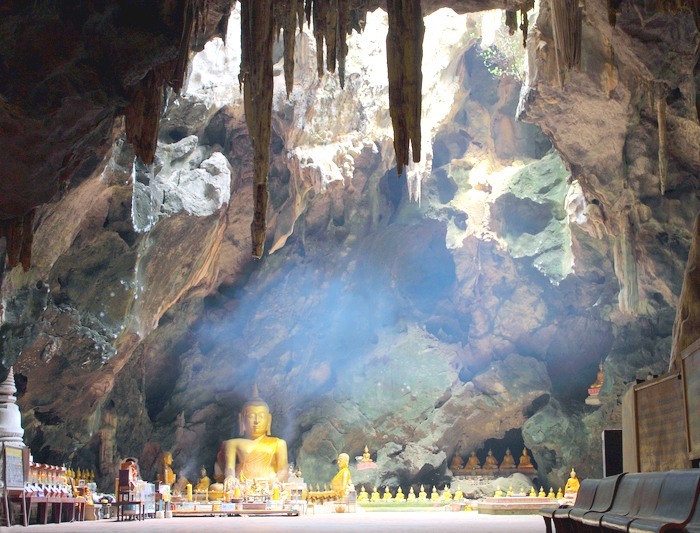 Khao Luang Cave Temple, Phetburi, Thailand. See ‘Travel Aspirations’ at the end of this post for more photos of the world’s most beautiful caves. Following in the steps of airlines and hotels, restaurants are adopting time-based yield management pricing models. Cornell researchers found that consumers are comfortable with variable pricing, but more accepting of messages that frame low cost periods as discounted off of a normal higher price. Consumers are not as accepting of mesasage that frame popular dining times as premium priced. Expedia joins Priceline in competing with the HotelTonight same-day booking model. Expedia Launches new US college football travel ad campaign. Democratic National Convention plagued by bloodsucking…………bedbugs (and you thought I was going to say politicians and lawyers). OTA threat? Openhospitality.com enables hotels to place ads in Google Hotel Finder with real-time pricing. Facebook offers new metrics of interest to the hospitality industry that enable travel brands to measure how many Facebook fans physically visit their destination. New airline fare predictor tool SteadyFare goes beyond Bing’s Farecast in functionality. In addition it offers price hedging insurance for a fee. Qantas leaves British Airways behind, hooks up and codeshares with Emirates, gets almost 50 new destination in Europe and Africa. All European Flights will be via Dubai. Up and coming travel news/intelligence site Skift launches comparison dashboards for air travel. Global hotel prices are up 4% in industry recovery. Best and Worst US Airline Economy Seating. New Nokia phones feature traveler-friendly features including augmented reality, offline map support, high quality cameras and wireless charging stations at airports. Startup Routehappy gets $1.5M in seed money for a flight amenities search engine. Airport sleeping pods: I wish I would have had access to one of these when I had to spend the night in an airport recently. Half a rating star can make a difference between a full and empty restaurant. Mobile Device Travel Access: Apps are used significantly more than mobile web. Quotes from Ryanair boss Michael O’Leary. Not sure how significant this item is but it is by turns appalling and laugh-out-loud funny, like “The best thing you can do with environmentalists is shoot them.” It does explain a lot about Ryanair. The quote about consultants is worth posting in the office.